What Happens When Your Age-Restricted Community Goes All-Ages? Can your age-restricted community switch to an all ages community? The Washington Post recently reported on the unique case of The Villages at Two Rivers in Odenton, Maryland. Construction on the community began in 2015 with the expectation that all homes would be for active adult buyers. However, in an agreement that all homeowners signed, the community reserved the right to dedicate some of the planned 2,060 homes for buyers of all ages. That’s exactly what ended up happening when developer Classic Group announced about 1,000 of the homes would be available for all-age buyers. Most 55+ homeowners in the community felt blindsided by the news, but Classic Group maintains that buyers signed the agreement and they knew plans could change. Two Rivers has nine subdivisions, each with their own entrance, connected by one main road. 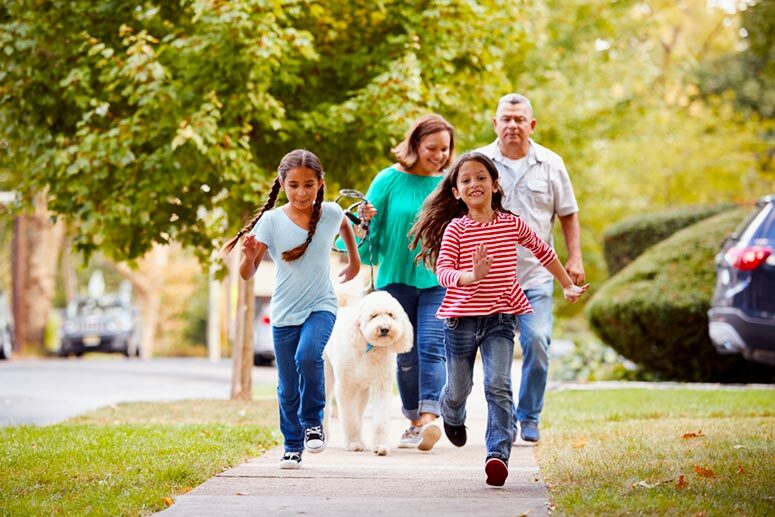 Because of this setup, active adults will not be living side-by-side with families and all-age buyers, but they will share the community overall. The developers also announced the construction of a separate amenity facility that will mean active adults and families will not share a clubhouse, although they will be next to each other. There are a lot of pros to this plan for active adults and families alike. A mixed community allows active adults to live in the same neighborhood as their children and grandchildren. It’s convenient for get-togethers, babysitting, and house-sitting during vacations. Communities that include both families and active adults are nothing new. Many master-planned communities around the country are largely all-ages, with a section of age-restricted homes. Some, like Summerlin in Las Vegas, have multiple 55+ communities. Of course, this information is convenient for homebuyers who know before purchasing a home in what they expect to be a 55+ community. But if that’s not your plan and you want to live in a truly age-restricted community, what can you do? Simply said, do your research. There are thousands of potential active adult communities for you to choose from, so it can be tough to discern, but it is doable to figure out. First, consider how established your top choice is. If an age-restricted community has been around for awhile and is mostly selling resale homes, it’s very unlikely to suddenly switch to all-ages. Two Rivers switched because they’re building new homes in an ideal location near business centers and recently renovated schools and wanted to take advantage of the opportunity. Also, communities that are selling well or have been popular for years won’t feel it necessary to make the change. For example, The Villages isn’t changing their status anytime soon because they don't have to. If you are looking at a new construction community then it’s important to read everything you sign. Ask your real estate agent for help and make sure there is nothing in the paperwork that implies or allows for the developer to invite all-age buyers at any point. Also, consider the location of the new construction community where you want to purchase a home. If it’s in a bustling suburb with top-rated schools and amenities for families, it’s even more important to double check the paperwork before you sign. For some developers, the entire point of their communities is to make them exclusive to active adults. Builders like Del Webb aren’t going to make their communities all-ages. Minto’s Latitude Margaritaville communities in Daytona Beach, Hilton Head, and the Florida Panhandle won’t be mixing 55+ Parrotheads with younger families either. Ultimately, there’s no need to panic. Whatever happens at a handful of communities doesn’t indicate much on a wider scale. There will always be space for just active adults in this market.